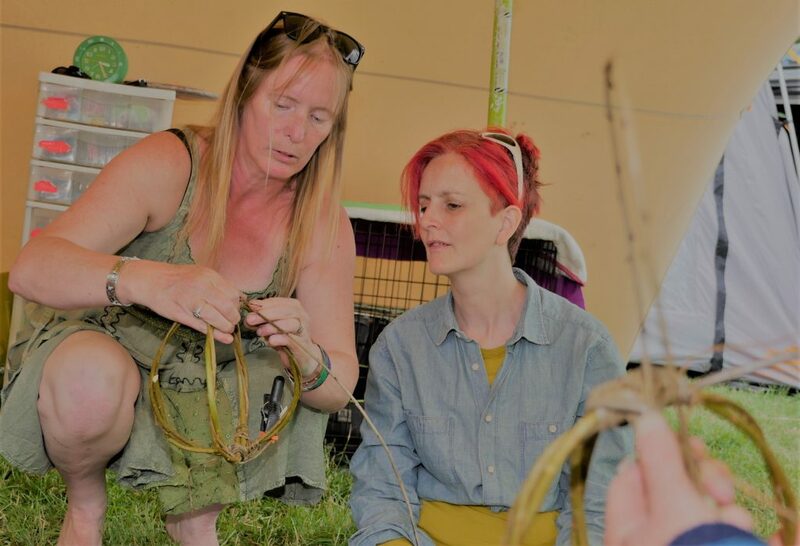 Willow Be-Hooked help you make your own willow creation – something for your home or garden or a present for a friend. Its a beautiful mellow space for meeting and crafting. Willow-be-Hooked will be making the wicker part of some Bannetons for baking sourdough for the kitchen. 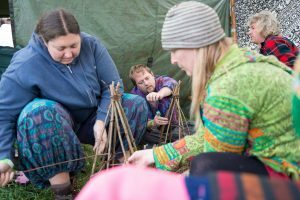 Ann will be running various workshops making things like lanterns, dream catchers and bird-feeders. The workshops are suitable for all ages and the guidance, tools and materials that you need are provided. Take time to make a useful and decorative object with your hands. Ann and her family make everyone welcome into their lovely awning.